To me the main draw of the San Pedro cactus (Trichocereus pachanoi (syn. 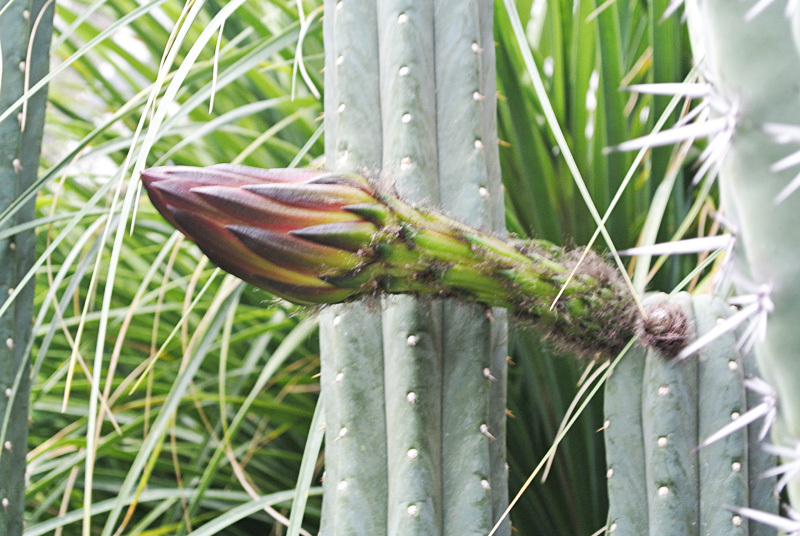 Echinopsis pachanoi)), a fast-growing columnar cactus native to the Andes Mountains of Ecuador and Peru, has always been that it is unsurpassed as a grafting stock. 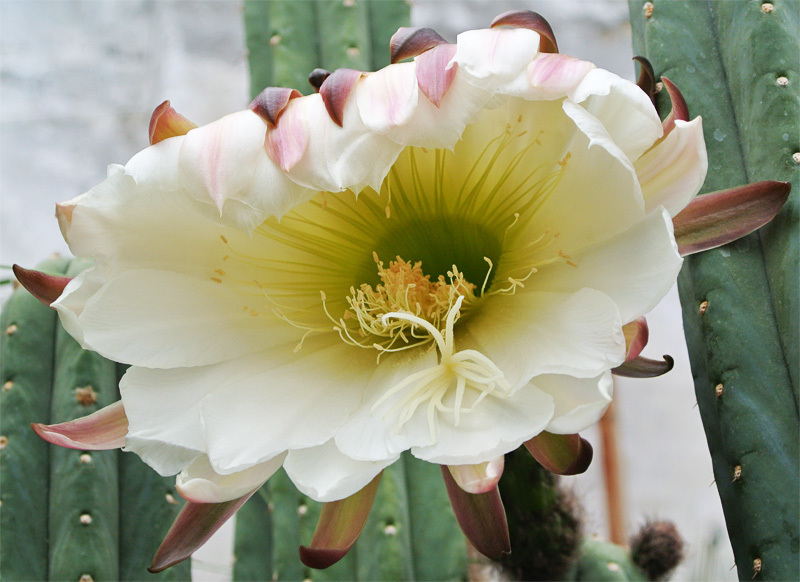 In my opinion it is the perfect rootstock for grafted peyote and similar cacti, as it ensures fast growth and is long-lived. 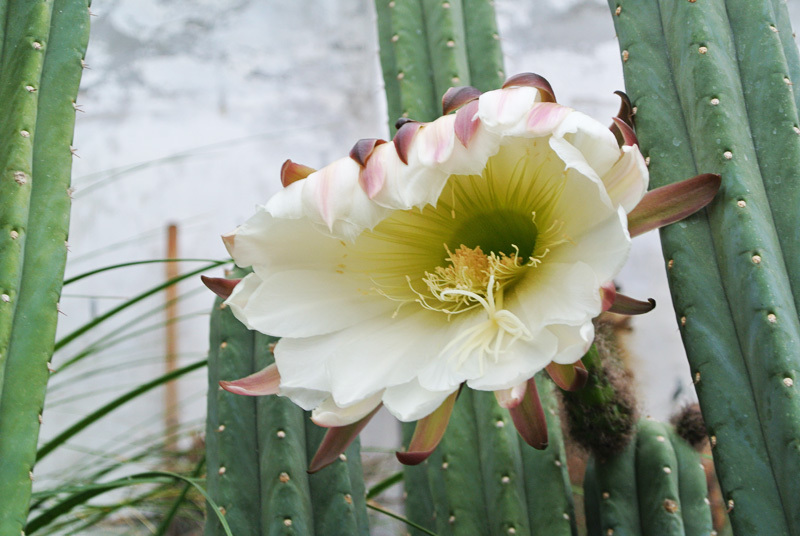 That being said a towering stand of San Pedro cacti is spectacular in its own right, and the large, beautiful, fragrant flowers are nothing less than awesome! I took these pictures last summer but will not disclose the exact location. After peyote (Lophophora williamsii) the San Pedro cactus is one of the most mescaline rich species of cacti and is widely sought after for recreational use - I’m sure the grower of these plants will be quite angry if they are maimed and disfigured by “I, me, mine” types looking for a quick trip. If you are so inclined, grow your own plants. Those are some great pictures..I dont think the average person knows how beautiful cactus flowers can be..I have never seen san pedro flowers in person, so I obviously haven't smelled them either, but I'll take your word that they smell great :) This is a very attractive species with or without flowers however. Keep up the good work. Nice photos! It must be awesome to grows these Trichocereus outside. I would like to grow them outside as well but would have to move to a warmer climate then :-) My attempt at growing Trichocereus in an unheated greenhouse here in Denmark ended quite disastrous - all the plants were killed by frost! 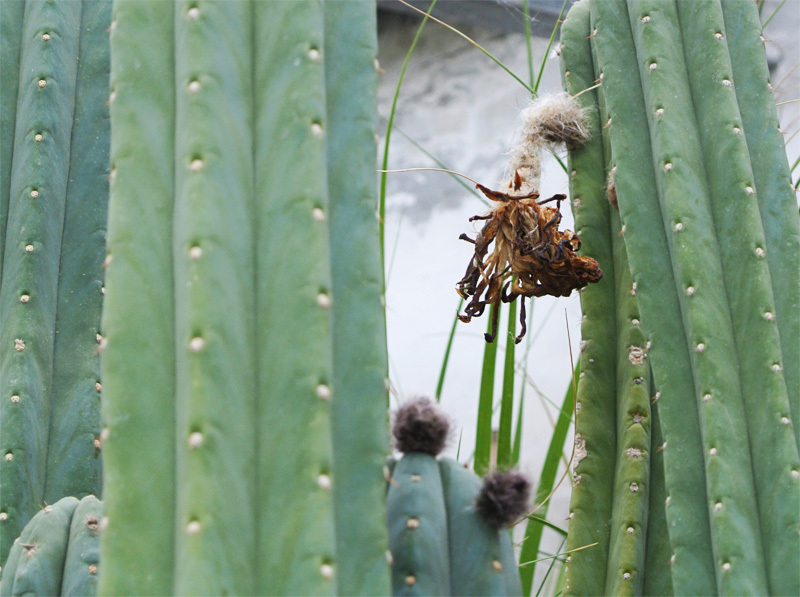 The above plants grow in a house that is heated during winter.